Studio now includes graphical mapping capabilities for DataWeave, allowing you to easily perform drag and drop mappings, with all the power of the DataWeave runtime. As you construct the mapping, the DataWeave code and your output preview will be dynamically built, allowing you to see the results as you progress. For DataMapper users, a migration tool is now included in Studio, which will assist users in converting their maps to DataWeave scripts. 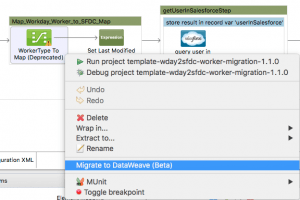 Users can right click on DataMapper, select Migrate to DataWeave, and follow the instructions. Studio now includes a new theme that has been designed from the ground up to offer a more modern look and better experience. You can opt into this theme by going at any time to Preferences, Appearance, and selecting the Studio Light Theme. The palette has been redesigned to improve usability and configurability. You can now create custom palette profiles in the preferences, allowing you to configure which items you see. You can also now configure the size and location of the palette. The latest MUnit 1.1 release is now included out of the box in Studio, making it easier to get started testing your Mule applications. The Mule project menus have been reorganized to provide improved usability. Improved performance in the rendering of editors and flows. 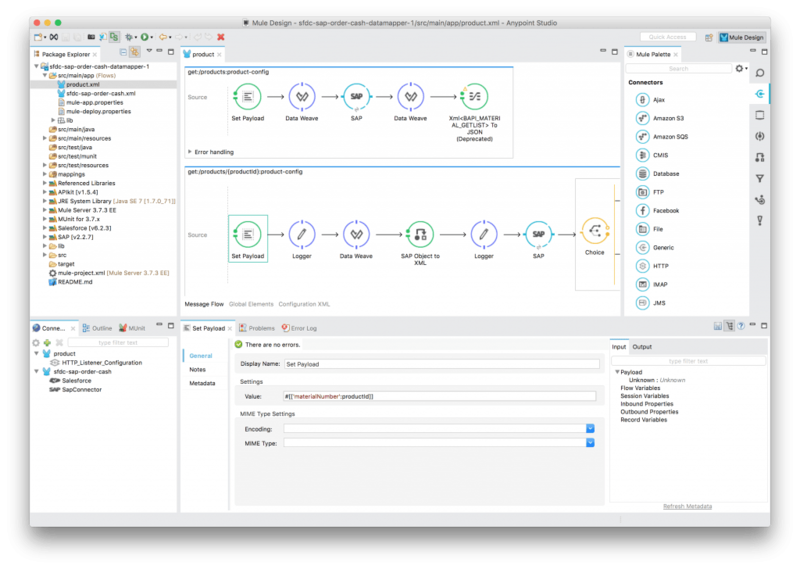 Read the release notes for Anypoint Studio and the 3.7.3 runtime.